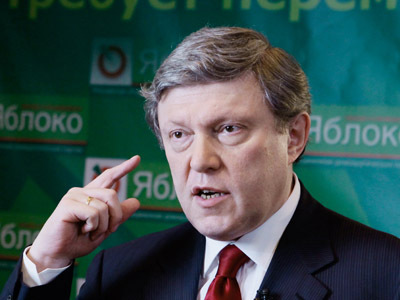 One of the founders of the liberal Yabloko party, Grigory Yavlinsky, says there is no sense in continuing opposition protest actions, but it is high time to “take power”. 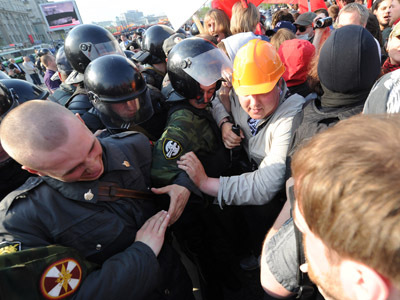 ­“Civil rallies, gatherings and all sorts of flash mobs may be worthy in their human dimension but politically, they won’t change anything, and given their feebleness will often turn into violent scuffles,” Yavlinsky wrote in his LiveJournal blog. In his opinion, what opposition really needs to do is “to start serious politics, winning elections and taking power”. His statement follows violent clashes between demonstrators and police at the so-called March of Millions of May 6, when several dozen protesters, including opposition leaders, broke away from the crowd to stage a sit-down strike. “If the organizers intentionally sought to be dispersed, and from the very beginning were preparing for sit-in strikes and breaking through police cordons, in other words, were going to provoke violence, this type of protest will always be countered with force,” the politician wrote. 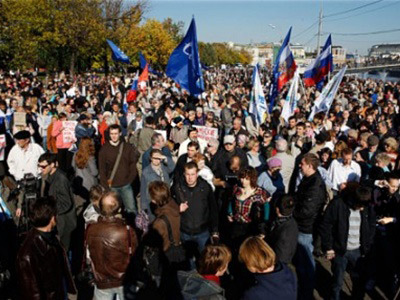 Yavlinsky added that he is against “the lies of the opposition”, and against it using the crowd as a tool for its own goals.